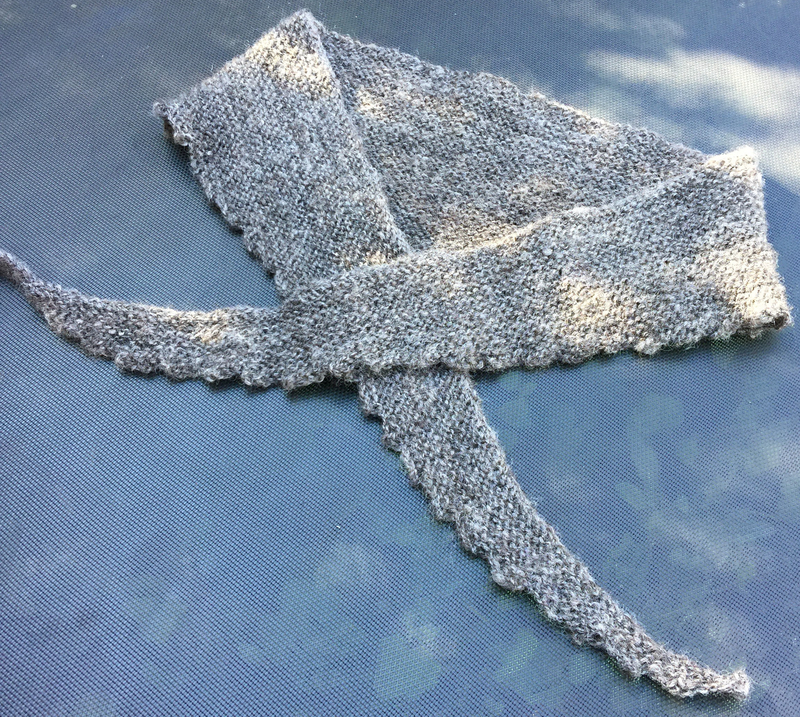 If you are looking for a pattern to use up around 100gms of handspun and a mindless project to knit in waiting rooms, this is perfect. Only one row to remember . Row 1. Knit to end of row, cast on 4 with the backwards loop method. Repeat row 1 until you run out of yarn, it’s big enough or you are fed up of knitting it! For clarity… This is a triangle worked from the centre point out. Each row adds four stitches to one side.